Hello-Hello, and Happy Friday! We’re all adither today, lots going on this weekend, a bit of travel, time with siblings and TQM, hopefully you are looking at a fun weekend as well. We are brief today, and eager for a touch of Friday Fun, so we begin with something that has long been of interest to many readers, the classic Hermès bag. The Daily Mail ran a fascinating story last week, “How a Hermès handbag is made: Photographs reveal French fashion house’s design secrets“. And now as the French fashion house celebrates its 175th birthday, its design secrets have been unveiled for the first time. 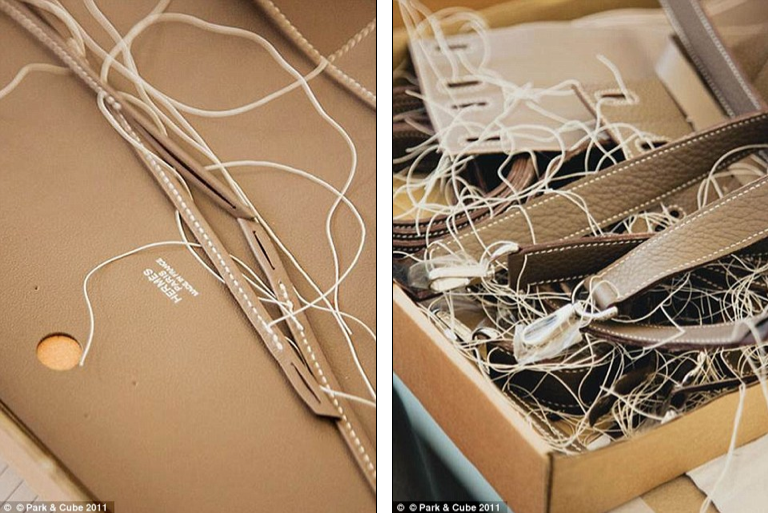 A series of photographs taken inside the famous Paris workshops showcase the craftsmanship required to create one of its bags, some of which cost in excess of £10,000. 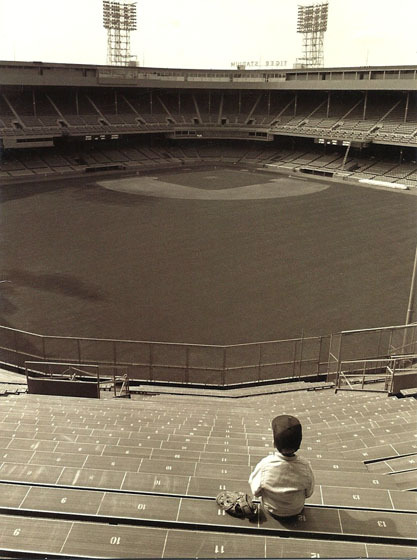 The piece is loaded with great photos from Park & Cube. While we’re not sure this is “the first time” there have been photos from inside the atelier, the pictures from Park & Cube *are* fascinating. The photos reveal the level of detail in each bag. The amount of handwork that sets Hermès apart from many others is also evident. Work on ‘Constance’ bags was underway during the tour when these photos were taken. And where does the finished product go after work in the atelier is done? Right into the protective cover of one of those distinctive bags. The story is about the ‘Leather Forever‘ exhibit celebrating 175 years of Hermès, the London show opened to the public this week. 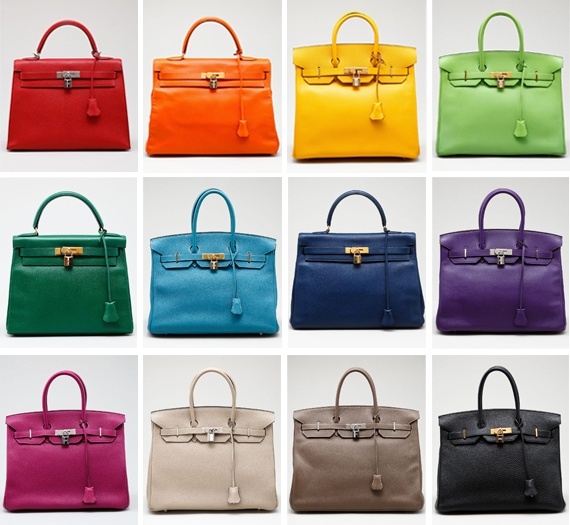 One of the more interesting things in the Telegraph story addresses the scarcity of the Birkin bag. The pièce de résistance of the show lurks behind a thick curtain of curling leather spaghetti strands – a room displaying fantastical treasures from Hermès’ bespoke service, including a black patent calfskin wheelbarrow commissioned by the Duke of Windsor for Wallis Simpson in 1947, and a multi-coloured winged saddle (above). In honor of the 175th anniversary and accompanying exhibit the company will also do an online auction with Christies, four one-of-a-kind versions of its Passe–Guide bag, the bag that most honors its equestrian heritage. The four bags are a tribute to the United Kingdom and Ireland, representing England, Ireland, Scotland and Wales. The auction for these begins Monday, the 14th; proceeds will go to the Royal Academy of Arts, where the exhibit is being shown. For a great story on the company, it’s heritage and its future, the Telegraph has an outstanding piece. Talk about some eye candy! Today we have a few bits and bytes we thought you might enjoy, the first is about Hermès. In a recent Journal story by columnist Ralph Gardner, the writer explains how grateful he is that his wife hasn’t ever asked for a “$10,000 Hermès Birkin or Kelly handbag for Christmas”. I can’t say I spend a lot of time thinking about handbags, though I’m aware that a certain caliber of lady who lunches would feel naked without the correct designer bag. Mr. Gardner’s story centered on a recent auction of Hermès bags, below we see a woman examining some of the items that were to be auctioned. As far as the auction goes, a new record was set, this Birkin sold for $203,150 to an anonymous bidder who lives in the Dallas area. The rare bag is made of crocodile skins, it’s accented with gold and diamond detailing. The sale was at Heritage Auctions in Dallas, to see all of the bags auctioned, click here. If it is difficult to see, those are three Bobbi Brown makeup items, including the Bobbi Brown EYES Pastel eyeshadow palette at $39.99. Doing a quick price check we found it at QVC for $60, elsewhere ranging from $45 to $60. If memory serves me correctly, this is past season, but as someone who uses Bobbi Brown on a daily basis, this very much looked like a bargain. As you can see, there are two other Bobbi Brown items on sale at Tuesday Morning. The other brand that struck us by surprise at the deep discounter, Lilly Pulitzer. Parfum spray in Squeeze, Wink, and Beachy are available at $19.99. A quick price check on these shows them at Drugstore.com for $34 (with shipping included), and The Perfume Spot at $29.99. So what do you think…are these good deals? With that we say goodbye until next time! A Lack of Logos? Yes, Please! Hello-Hello! We enjoyed a glorious weekend and hope you did as well. We begin today with what can only be described as good news, a story about These Challenging Economic Times and logos disappearing from upscale merchandise. The Financial Times recently ran a piece titled “No Logo – Luxury products without overt branding are the new mark of exclusivity“. The appeal of living large hasn’t disappeared but it seems the logos associated with lavish lifestyles have. Below we share two higher-end bags, the Valentino Aphrodite and Fendi Leopard-Print Peekaboo. Frequent readers are painfully aware familiar with the topic, we do blather on incessantly occasionally chat about the issue. This isn’t the first time we have heard about the disappearance of logoed-up (rather like tarted up, no?) merchandise, we did a post on the topic almost exactly one year ago. In that post we used this screen grab from the Girls’ section at Burberry to demonstrate that perhaps the company wasn’t on board with the logo-free movement. How refreshing to visit that same children’s department today. A look at the Girls’ section online reveals a positive scene indeed. Jim Shi’s story talks about Valextra, exclusively sold at Barneys. The brand is carried only at Barney’s, below we show the Valextra Caju Mirror Tote and Namaste Big Hobo. Another brand mentioned in the story is Hermès. During the downturn, high-end brand Hermès known for timeless bags rather than a new, trinket-laden style every season – has thrived. It posted an increase of 50 per cent in its first half profits this year and is looking to hire 400 staff to boost production. Hermès bags are not completely devoid of logos, as seen with the pink Clou de Selle below right, but it is a far more discreet look than many other brands. On the left we show the Picotin Lock, elegant and understated. Not all companies are entering the logo-free zone, here is an email that arrived this morning from Saks, showcasing the Gucci Resort line. To be fair, not everything Gucci offers is a walking advertisement for the brand. We only wish the trend would filter down to more brands, allowing merchandise to speak for itself. Not everyone got the memo, including Juicy Couture; on the left we show the Scottie Daydreamer ($198) and on the right, the High Drama Daydreamer ($248). However, it *appeared* the percentage of bags sans the Juicy logo was higher than I recall, perhaps the company’s not-so-fabulous performance has positively impacted its designs. We do want to share two items we stumbled on while wasting time window shopping researching things for the post. Both are by Bottega Veneta at Bergdorfs and both are insanely expensive. The Two Tone Deerskin Tote and Woven Lambskin/Linen Tote are today’s Pretty in Pink. We would have to hold quite a few bake sales here at the Prepatorium to come up with the $$$ for either. Sigh. One quick Sales and Savings note: J. Crew is offering an extra 30% off sale merchandise. Additionally, Crew is leaving its online Factory Outlet ‘open’ through Thursday, especially good news for parents as the company just added childrenswear to the outlet this month. Use promo code OURTREAT at checkout to receive the discount. 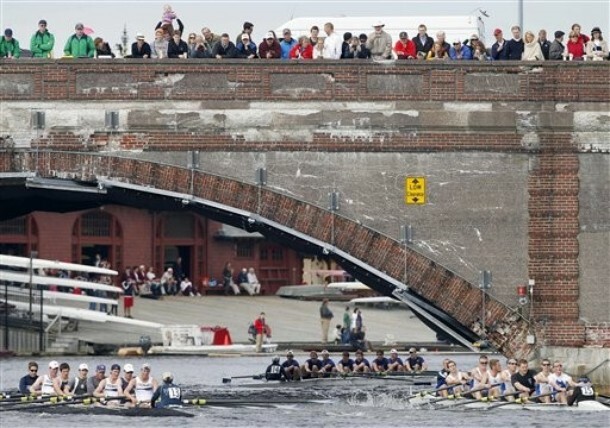 Finally today, a look back at this weekend’s Head of the Charles. 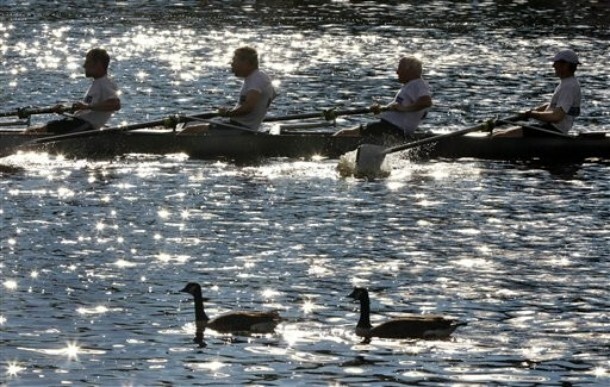 The annual Regatta looked like another fabulous event. It was a good weekend for the Crimson, Harvard had a stellar showing. Several friends were on hand and/or actually competing, including the Queen Bee, a tip of the hat to them. We also applaud several preptastic retailers, Brooks Brothers continued its sponsorship of the event, Smathers and Branson partnered with North River Outfitters for limited edition HOC goods like the flask shown below. Until next time, may all of your oars be pulling in the same direction! Hello-Hello, what a glorious Friday it has become, these are the days you dream of if residing in The Great Midwest. Today we have a few news Bits and Bytes, the majority with a retail overtone, we’ll cap that off with a touch of Friday Fun. Naturally The Consort was impressed by this. The store is on M Street in space previously occupied by Smith & Hawken as well as part of a Pottery Barn, if the memory cells are at all functional today. 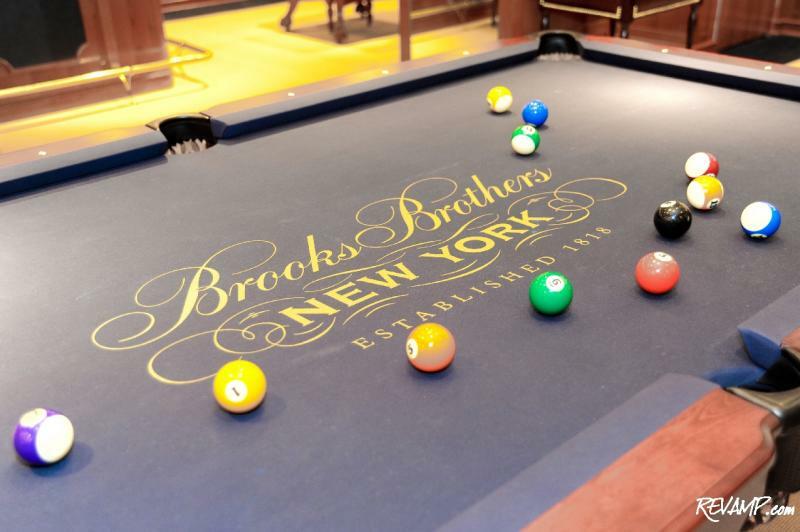 In addition to our fondness for the apparel and accessories at Brooks, we enjoyed seeing some of the furniture showcased in the new digs. Nothing like a little custom made madras to make me smile. The party also served as a fundraiser, the Trust for the National Mall was the beneficiary, almost $5000 was raised for that very good cause. LL Bean’s new King of Prussia store opened last weekend, it is the venerable retailer’s 15th shop, located not too far from the Lilly KOP store. Marimekko, the Finnish design firm offering amazing textiles (and so much more), has opened its New York flagship. While not a store opening, we have to applaud the folks at Hermès, for the ‘family reunion’ they hosted this week. Women’s Wear Daily reports the upscale firm closed all of its US stores Sunday, Monday & Tuesday so they could fly all 515 employees to a party and recognition ceremony, a very cool (and savvy) thing to do. This one can be yours for $48.99. Fully acknowledging our terminally unhip life, is there something we have missed about “family gangster action”? Finally, there is this: your infant as roast turkey. More than ideal for inclusion in both our Help Me Understand and You Can’t Make This Stuff Up categories, we pondered the possibility this was what we used to call a ‘sight gag,’ perhaps someone having fun with Photoshop. Wrong. Of course, if you prefer baking over roasting, there’s always this. May your weekend be sunny and bright! We have an interesting topic today, the appearance of very high-end luxury goods (yes, some things are more “luxurious” than others) on discount sites. Today’s Luxury Daily carries an interesting story about merchandise from Hermès, Cartier and Botkier being sold on discounter Bluefly’s site. This is not an entirely new phenomenon. In fact, a June 2009 post in this very space was titled “Tiffany & Cartier for Sale at…Bluefly? !” In most instances, these were limited-time and/or “invitation only’ events; the ad seen below is for one such promotion offering Cartier watches. But from what we can gather, it seems this may become a standard practice moving forward. 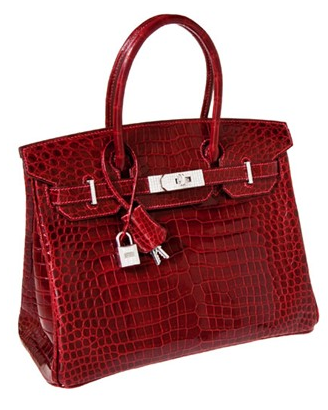 Hermès has been offered previously at Bluefly, and just last week it was sold at Rue Lala. Your trusty scribe finds the practice disconcerting, especially following month after month after month of record-breaking sales and profits for Hermès, landing this one in the “Help Me Understand” category. Why do it? Are you introducing products to customers not previously exposed to the brand? If so, are they really customers you want to acquire? Now, will you be able to purchase the custom scarf sold only at the remodeled flagship store on Bluefly (below)? Of course not. How would you prefer your image be perceived? Oozing the understated elegance and refined vision showcased in the Madison Avenue store? Or as a bargain hawker at Bluefly? Is this up there with discovering our Orrefors crystal or Movado watch at CostCo? Hardly. It far transcends that little hissy fit disturbance, for we rank Cartier and Hermès in the upper tier of the luxury scale. This seems like a bad idea all around. One more tidbit today, also about a storied company, Haspel, the go-to brand for seersucker. We had nary a clue Haspel did madras. That is news we are happy to hear! Hello-Hello, thank heaven it is Thursday! As always by this day of the week, it seems we have accumulated many little bits of information we think you might enjoy, so we begin right away, today’s first topic is J. Crew’s Fall collection. Yes, we know, spring has yet to arrive in many parts of the globe, including here at The Prepatorium, and most of us have minimal interest in looking at fall clothing. However, we feel an obligation to share at least some of the line in our never-ending efforts to keep you apprised of notable events on Planet Prep. The Crew presentation was Tuesday, accompanied by cocktails and canapés. J. Crew Courtesy Photo via FashionEtc. Fashionista refers to it as “glamorous prep”. From flares to ankle grazers, we are loving all the deep purple and pink pants that are mixed with jewel- and neutral-toned tops and sweater. Mid-length to long flowing skirts and a maxi sequined dress in a cranberry color that is just to-die-for round out this collection of luxe-looking items that will be staples in every girl’s wardrobe. Even the most notorious lady in black won’t be able to resist these bold hues! Hmmmm. There some items with tremendous potential, the silk brocade pants lower right could be smashing for the holidays with the right top and accessories. But then there are things we don’t understand, like the slouchy (comfy looking) chinos in the second photo, and this is ignorance on our part, but how do those differ from mom jeans? (No snark, we genuinely don’t know the difference.) Below, another look via HuffPo. Below left, the rose and red dress looks like it may be in a satin fabric, a lush and pretty feel for the holidays. But does anyone else think it looks totally like it belongs at Talbots? To see all of the images, pop over to Fashionista or Fashionologie. We dedicate our next portion of the post to the inimitable Summer is a Verb, she is fond of (perhaps more appropriately referred to as a connoisseur?) the classic and coveted Hermès bracelets. This year the Hermès Australia Beach party featured bangles big enough to walk through! Now may be the time to start wangling for an invite to next year’s beach bash. We leave you with two quick notes, the first merely an update on a sister publication that is finally launched, What Kate Wore, where, as time permits, we shall attempt to offer coverage of Miss Middleton’s sartorial selections. Much more importantly, our second closing item involves marking the significance of the day, it is a date on the calendar we wait for with impatience. Every year it finally arrives and we sit with big silly smiles, gazing at the television. The day brings optimism and hopes that this will be The Year. There is magic in the air. Well now. If that isn’t white stuff spewing forth from the skies, whimper-whimper-whine-whine-snarl-hiss-boo-hiss. Lest we wallow in meteorological misery, we move on to a new topic, sharing a question being asked by several writers today: “When is preppy helpful?” The question was posed in several stories about a new clothing line, 46664 Apparel. Those recognizing that sequence of numbers won’t be surprised to read the line is being launched by 46664, Nelson Mandela’s charity originally focused exclusively on AIDs, but now addressing all manner of humanitarian issues. When sentenced to life in prison he was the 466th prisoner at the facility, that is how the number originated. Profits from the new line will be used for the charity, thus the media comments that preppy can be helpful. Obviously we don’t care what particular style is referenced as being “helpful,” be it punk, prep or goth, as long as that help is forthcoming. Here are two looks for women. The global brand will offer a broad variety of ladies and menswear, with merchandise available beginning this August. In addition to funds being raised for the non-profit, a significant ancillary benefit will be work for South Africa’s challenged fiber and manufacturing industries. While US media is focused on the brand’s ‘preppy’ styles (in part because the early photos showed styles of that ilk), the reality is there will be all manner of items, including shirts modeled after those worn by Mr. Mandela. (One note, if trying to access the 46664 website, be patient, it is significantly overloaded.) Here is a better look at the new brand’s logo. An update on Mr. Mandela, he remains under 24-hour medical care at his home in Johannesburg as he continues to recover from a serious respiratory infection. Below, several pieces from the group, including scarves (L) that didn’t make the cut, and leather pieces put to work. 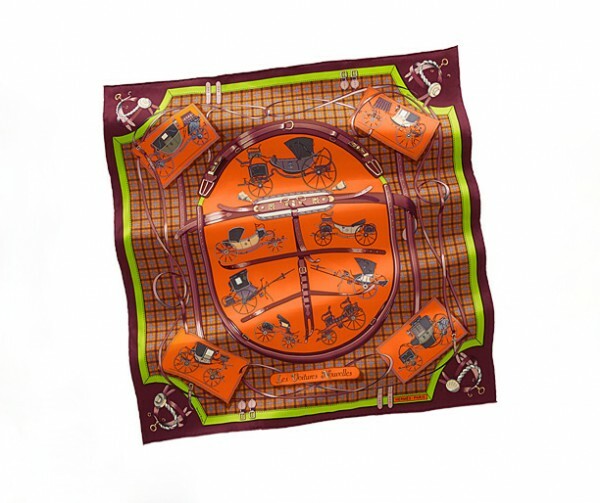 We love the innovation, accompanied as always, by the Hermès touch of whimsy. Below, the logo for the collection. The collection will be available in Japan in May, then New York and Beverly Hills this fall. For more, visit Ecouterre or Quintessence, both of whom reported the story well before your faithful servant learned about it. For our final item we must thank our dear friend Julie, as we had nary a clue about an important milestone for one of our favorite Mad Men. 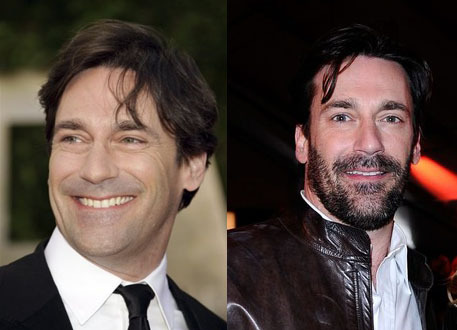 Yes, the always dashing (well, usually) Don Draper Jon Hamm celebrates a birthday today, the actor is turning 40. So in honor of any opportunity to put up pictures of attractive men our friends who appreciate Mr. Hamm’s bedroom eyes acting skills, there you are. Until next time, we hope the sun is shining on you.